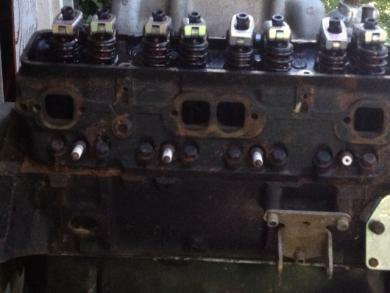 this engine is rebuilt less then 3000mi and is a 383 stroker 4 volt main 350. Driver side dip-stick, speed pro rings and pistons boarded 10 over. Dart sportsman pro series two heads. and it has Erson roller rockers. With 202 Valves.